I would say that prisons should replace solitary confinement with a program that forces inmates to repeatedly enter account passwords using a game controller and onscreen keyboard, but I think it might be even more inhumane. 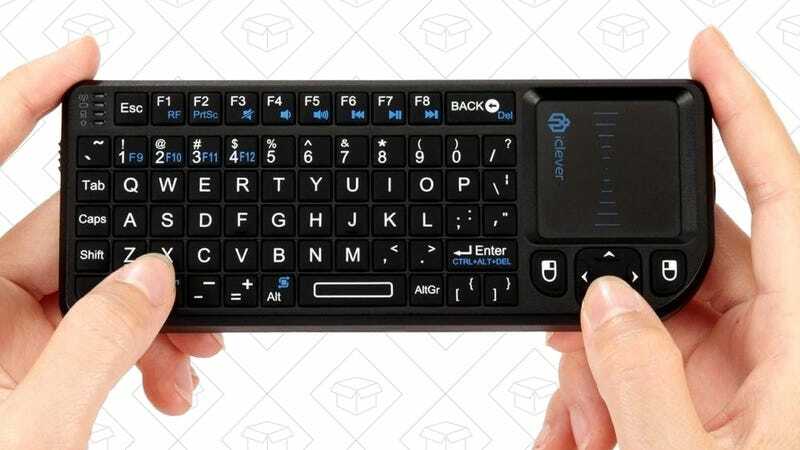 If you’re still subjecting yourself to the same treatment, do yourself a favor and pick up this $14 wireless keyboard/trackpad remote. It’s kind of ugly looking, but it’ll get the job done on your PS4, Xbox One, or home theater PC.